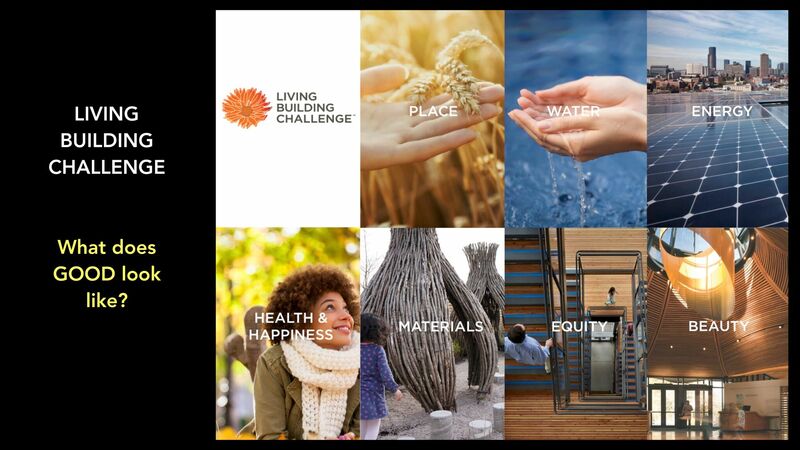 My Specifi keynotes introduce the Living Building Challenge, a regenerative approach to sustainability that asks the question What does good like? And in doing so, sets out a pathway for a future that is ecological sound, socially just and culturally rich. From our experiences at the first UK Living Building Challenge project at Cuerden Valley in Lancashire we know that the skills and roles involved in producing deep green buildings that are not readily found. 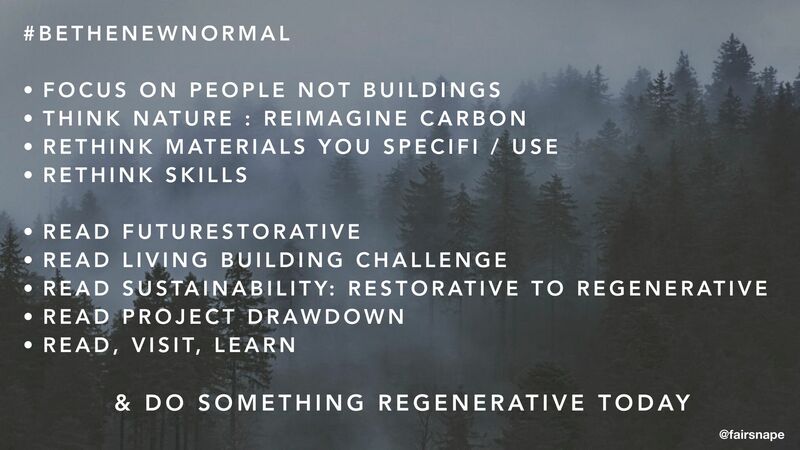 For the Services Specifi event in Newcastle, I presented a number of skills, collated from recent reports and discussions with those in the ‘regenerative’ sustainability arena. These are skills and roles that as yet may have no title, no career route or education stream but have recognition as being vital to a sustainable future. These roles can be seen as emerging from a worldview mindset, that is an understanding and recognition of the importance in balancing people, community and planet health with sustainable function. The New Normal roles? Discussions and questions over the Specifi networking and dinner ranged from students wanting to know how to prepare for these roles, to those in industry asking where they can find such skills. Questions that urgently need to be addressed by education institutes and academics. 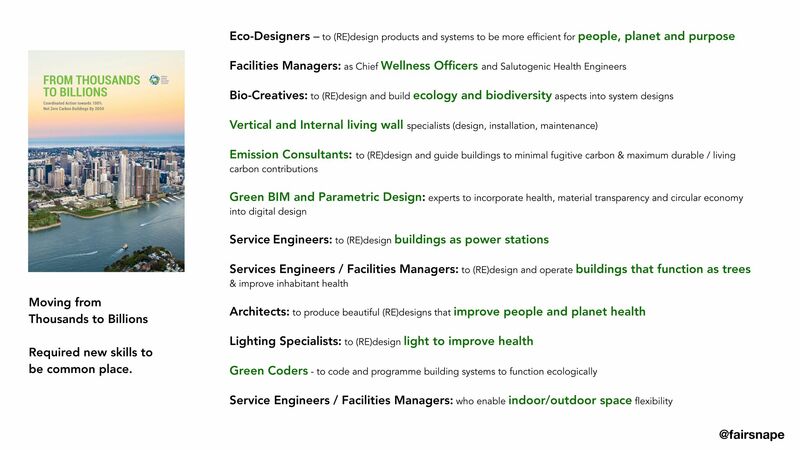 My presentation further prompted us to think about eduction, and starting building services with an understanding of ecology, understanding how nature works, how living buildings function, and from there to design the MEP services. 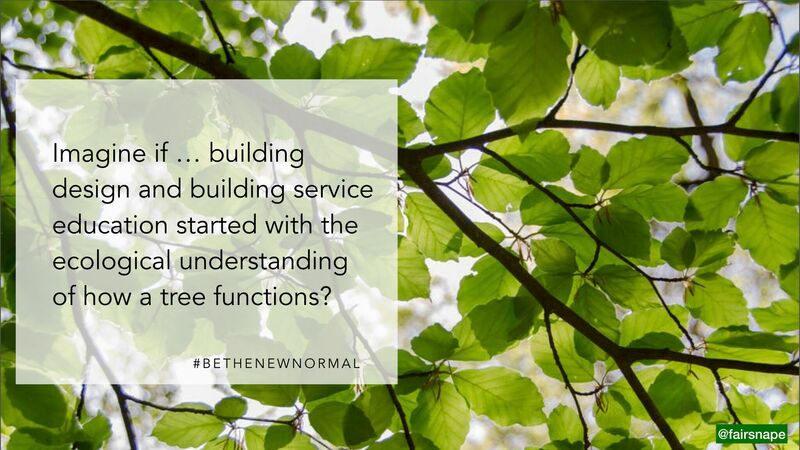 Designing, installing and maintaining services within a sustainable, living building, with only a traditional ‘science’ mindset, is in itself unsustainable and inefficient.